We love our local Main Line and Greater Philadelphia communities and they have some great things to say about us as well! Here you’ll find an ongoing list of the all the newspaper article, magazine pieces, local TV spots, and other media which has featured Francisvale and our wonderful volunteers and staff members. 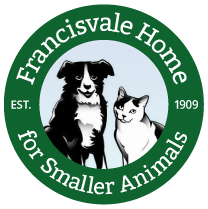 If you’d like to get in touch with Francisvale for a media inquiry please see our Contact Us page, or send us an email at francisvaleinfo@gmail.com.